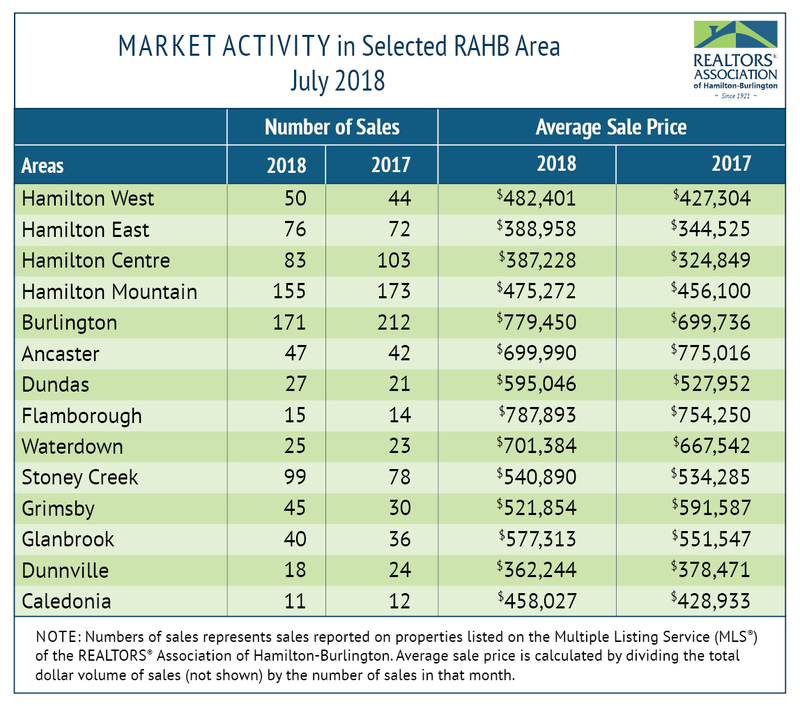 The REALTORS® Association of Hamilton-Burlington (RAHB) reported 1,072 residential sales were processed through the RAHB Multiple Listing Service® (MLS®) System in July 2018, 4.7 per cent fewer than the same month last year and 16.3 per cent fewer than the 10-year average for the month. 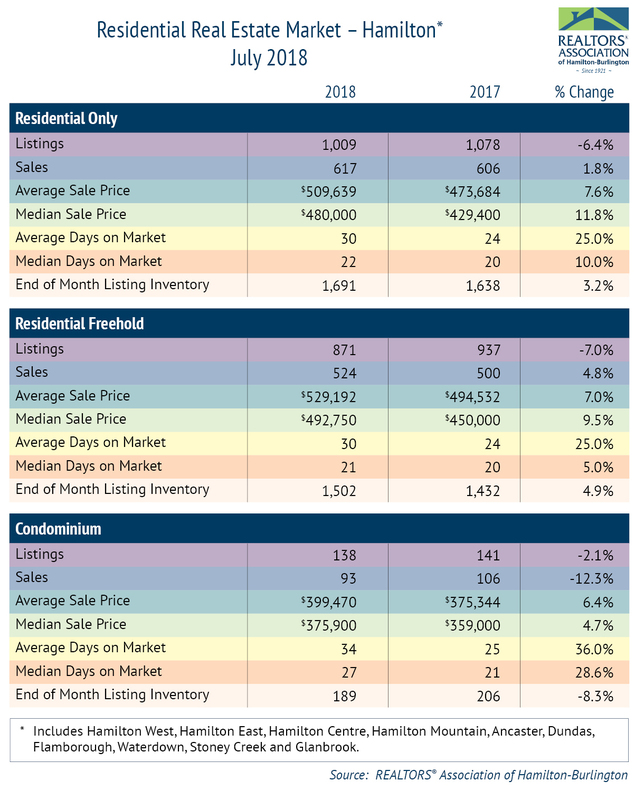 Residential freehold sales were 3.2 per cent lower, and condominium sales were 11.5 per cent lower, than July last year. 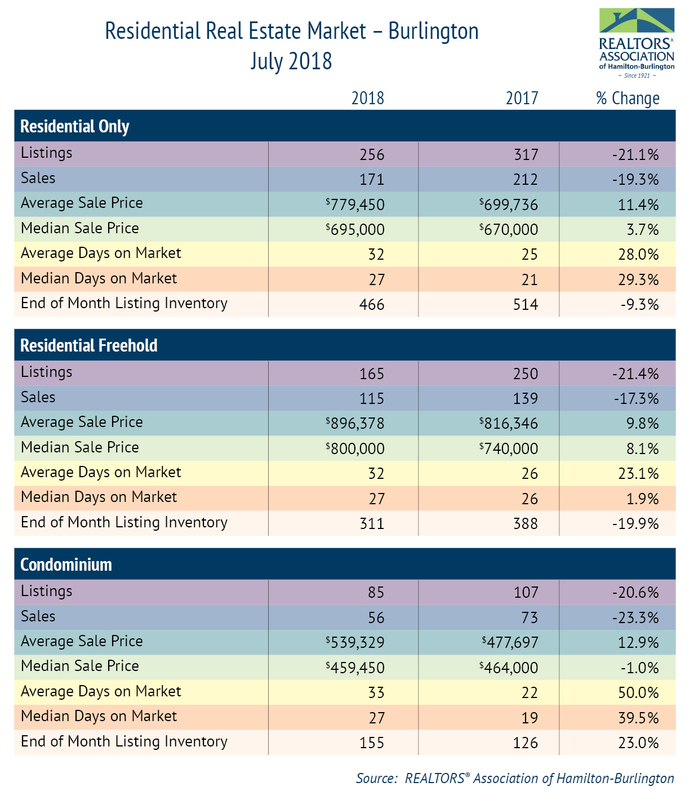 New residential listings were 8.4 per cent lower than the same month last year, but 1.5 per cent higher than the 10-year average. 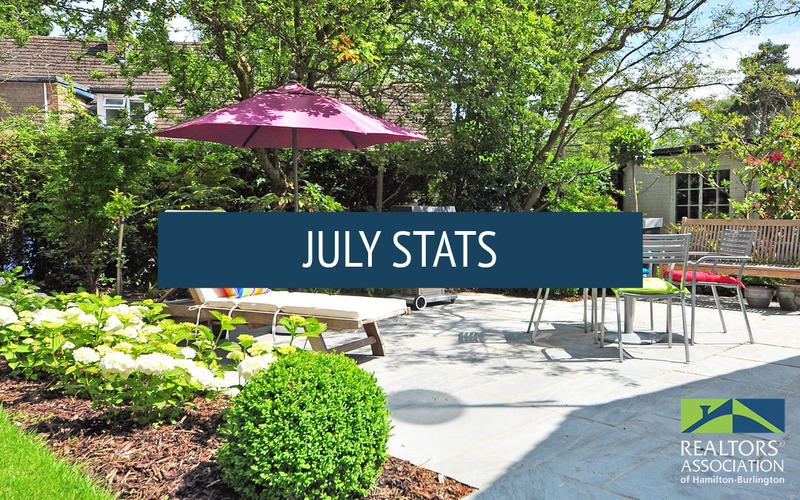 The average residential sale price for July 2018 was up 1.3 per cent, continuing the upwards trend for the month of July over the past 10 years. 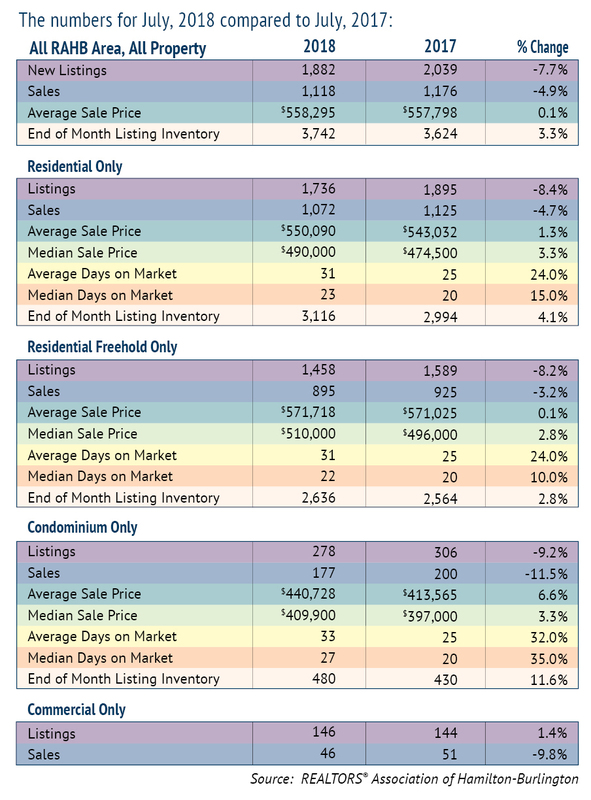 Neighbourhoods throughout the RAHB area experience results that differ from the average of the entire RAHB market area. 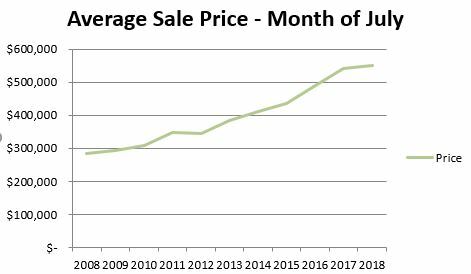 In July, while Hamilton Centre, Hamilton Mountain and Burlington followed the trend of significantly fewer sales compared to last year but had higher increases in average sale price, Ancaster saw an increase in sales but a dip in the average sale price compared to last year.